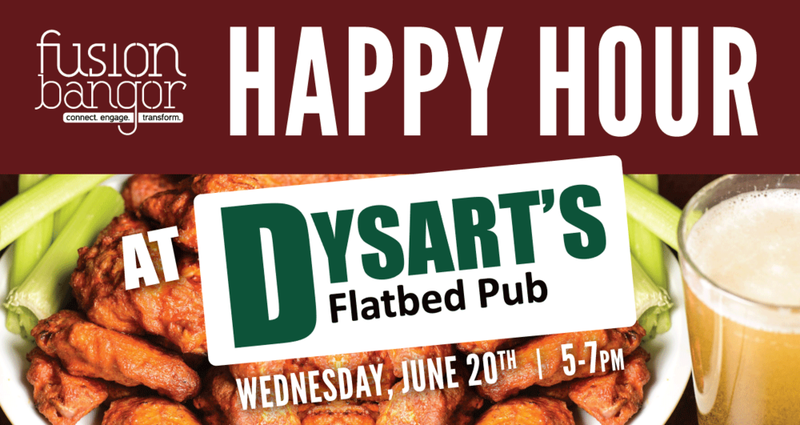 Join FUSION:Bangor for our next Happy Hour at Dysart's Flatbed Pub on Broadway in Bangor! This is a great opportunity to network with the FUSION community and learn more about the organization and how to get involved. Our Community Partner for this event is the Literacy Volunteers of Bangor. Executive Director Mary Marin Lyon will be attending to tell us more about this incredible organization. We are asking that people make donations of new or gently used paperback books of the adult or young adult genre to promote learning and literacy in this population. Please consider bringing a donation to this event. Invite your friends! We hope to see you there!